"Tutankhamun – His Tomb and His Treasures” presents, in an educational and entertaining way, the historic moment and history of the discovery of the grave goods of the young Pharaoh in a monumental show that uses around 1,000 replicas. and which, upon discovery in 1922, the excavators dismantled into individual parts. These amazing artifacts were then inventoried and stored in different depots, showcases and displays around the world, seemingly forever separated. The discovery of King Tutankhamun’s tomb is considered the most famous discovery in the history of archaeology, and in modern times, the context of its discovery has been lost. The Exhibition allows visitors to experience the background of this historic discovery,and to get to know the most important artifacts through stunning and scientifically produced replicas. These remarkable, individual presentations allow the world to experience the treasures of King Tutankhamun’s tomb without compromising the fragile originals, many of which are not permitted to be toured. In a coordinated use of new media and objects, the Exhibition presents the burial of King Tutenkhamun’s treasure in the context of ancient Egyptian afterlife beliefs – an immersive experience that sets new standards in museology. 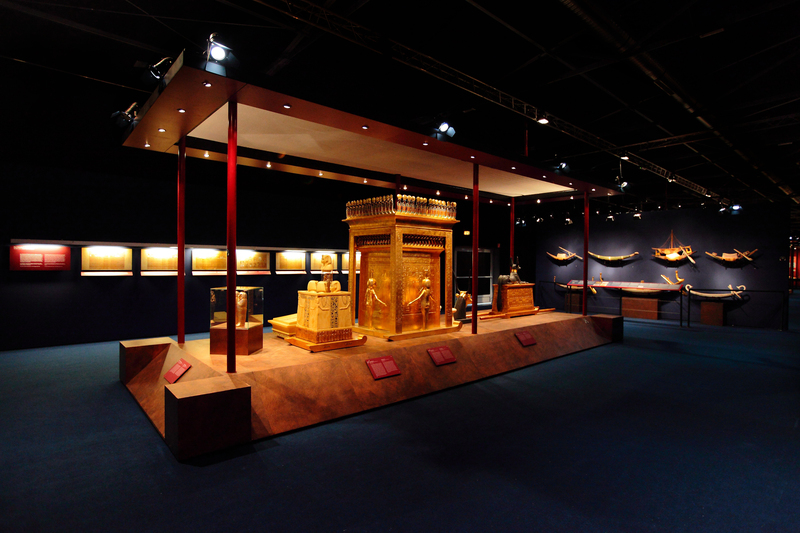 The first area of the two-part Exhibition uses media to transport visitors back in time, thousands of years to the time of King Tutankhamun. They then experience how Howard Carter discovered the lost tomb of King Tutankhamun after a long search. The Exhibition experience culminates in exact reconstructions of three burial chambers that reveal themselves just as Carter saw them in 1922.
of the Boy King’s burial chamber. Upon discovery, Howard Carter uncovered an additional three gilded shrines and a stone sarcophagus, in which there were three inner coffins. Therein lay the intact mummy of the young King wearing the golden mask. The ensemble’s presentation at the heart of the burial, reveals the ultimate meaning of Tutankhamun’s tremendous efforts for his existence in the afterlife: the transformation of the King into the immortal sun god. and extensively examine the most intriguing objects in the burial treasure. Visitors can learn about the cultural, historical and religious background of the objects in a documentary, which is presented in a scientific yet accessible manner. 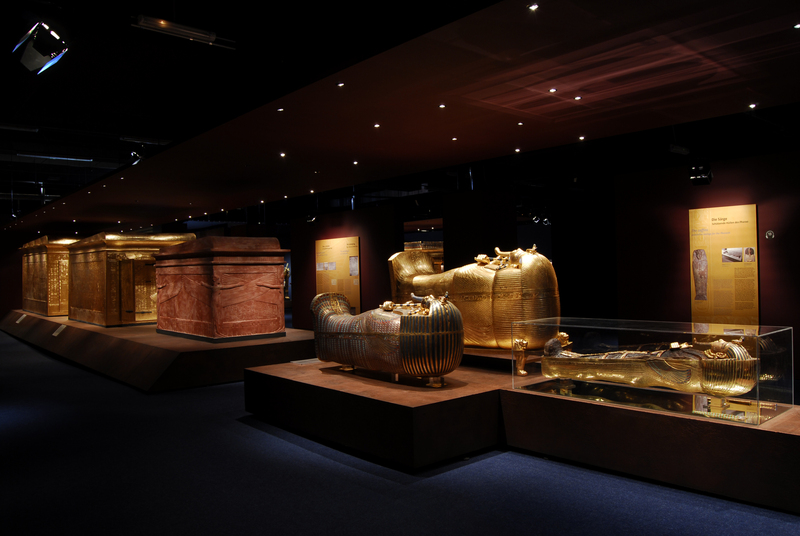 The boxes and chests found in the burial chambers are opened, revealing their hidden contents: golden and gilded statues of gods and the King, ushabtis, jewelry and many precious stones. 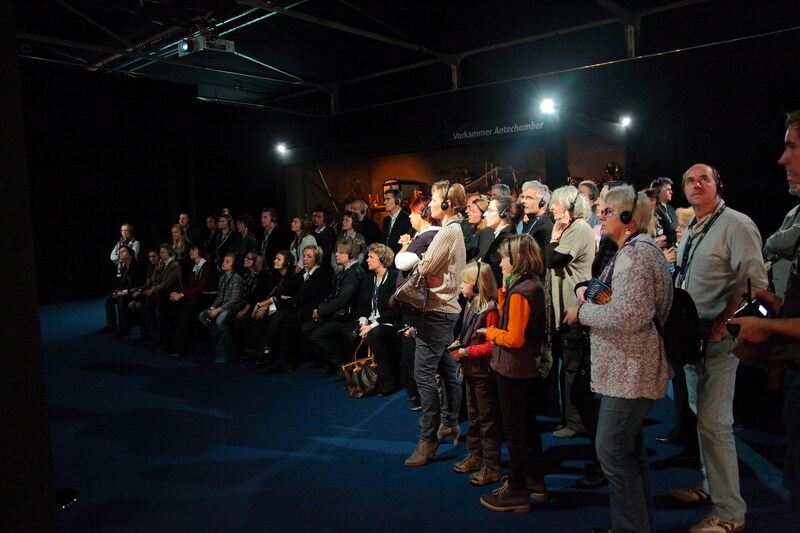 An international team of exhibition designers worked for over five years on the realization of this Exhibition under the scientific direction of Egyptologists Dr Martin von Falck and Dr Wolfgang Wettengel. Renowned specialists from the fields of medicine and genetics have provided new impetus for scientific discourse. Tutankhamun - His Tomb and His Treasures presents the actual excavation itself, its story and its invaluable legacy. Using painstakingly, scientifically produced replicas, the Exhibition allows the public to enjoy the magnificent splendor of these priceless Egyptian treasures without ever harming the fragile, sensitive originals – which can only now be exhibited separately in a carefully controlled museum setting. Preservation is of paramount importance, and the use of replicas is now the increasing trend in heritage conservation. The Exhibition also presents a wealth of information about the wider culture of ancient Egypt. It offers fascinating insights into the Egyptians’ belief in the afterlife, and their efforts to overcome their fate and conquer death and transience. 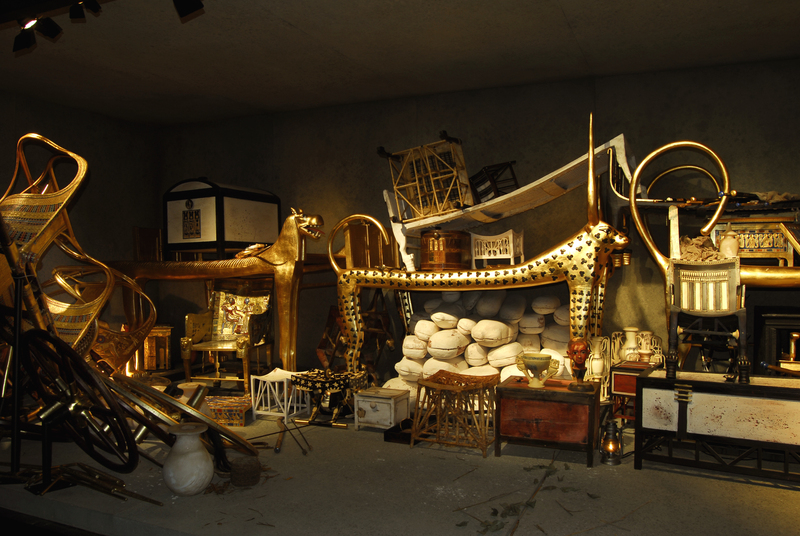 A fully three-dimensional, astonishingly accurate recreation of the excavation site allows the public to marvel at the exquisite, breathtaking burial treasure, ensuring that visitors leave Tutankhamun - HIs Tomb and His Treasures exhilarated by having seen something very special, in an experience they’ll never forget.